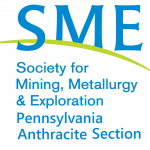 2016 PA Abandoned Mine Reclamation Conference – "Economics and the Environment"
June 22-23,2016 at the Indiana University of Pennsylvania Kovalchick Conference Center in Indiana, PA. This year we listened to the overwhelming suggestions by last year’s attendees who were begging us to bring back the abandoned mine land (AML) reclamation and mine drainage (AMD) remediation tours. In order to do that we had to move the conference away from State College, because, well, we have seen all the AML impacts there are to see in that immediate area. Many aspects of the tour(s) we are planning will highlight those benefits mentioned above and give our attendees a first hand look at what may have been considered intangible in the past. The surrounding watersheds of Indiana County outside of Indiana University of Pennsylvania, have lots of success stories to offer. We have dedicated the entire day Wednesday, June 22nd to touring the sites and then the evening to networking and a community dinner that night. For Thursday, June 23rd, we are working on a series of presentations that will begin to touch on the need to highlight, with a greater sense of accomplishment, the value of dollars that are leveraged by the numerous projects being completed in our watersheds across state and not just on a project by project basis. There will be science too for those of us who crave it, but we can sometimes lose sight of the economic importance and revitalization of our communities that we, as citizens, volunteers, and partners within government are trying to achieve. They are complementary to one another in our line of work. They are two vital components of improving the quality of life for our Commonwealth’s coalfield communities. Join us this year as we ask our presenters and tour guides to “show me the money!” so that we can continue to convince our funders to “give us the money!” Money spent on environmental projects uplifts and builds the capacity within our mining impacted communities to achieve greener landscapes and clean water!